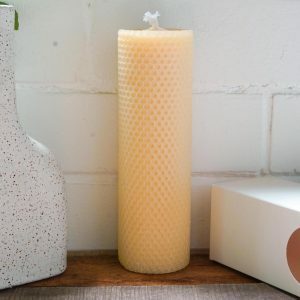 These pure beeswax pillar candles produce a subtle honey smell when burned and produce a gorgeous, warm glow. 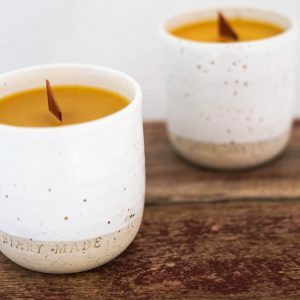 Due to the amazing properties of organic beeswax these non-drip candles are also hypoallergenic, helping to purify and clean the air. 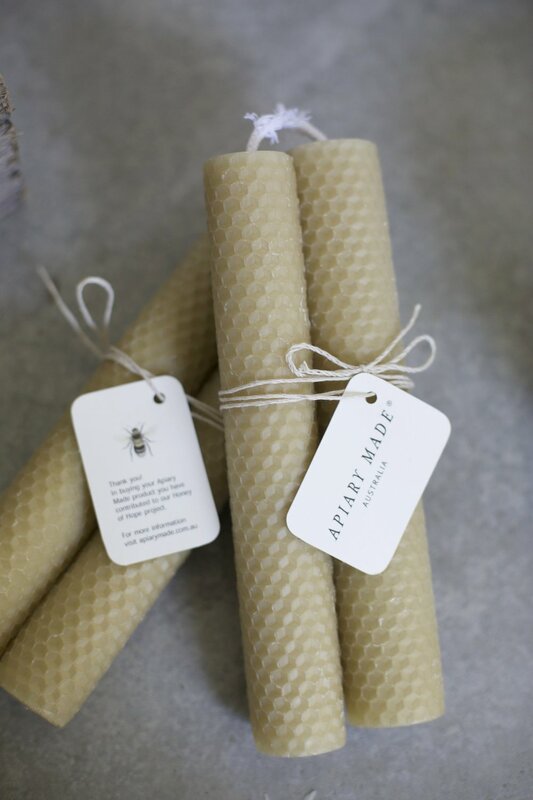 They are handmade by the Apiary Made team. Apiary Made pillar candles will provide you with approximately 20 hours of burn time. We recommend using a spike to hold the candle upright while lighting.